Call us today to begin your tomorrow! Start your career today! You can earn your certification in the medical field at HVCT! Become a Certified Nursing Assistant, Patient Care Technician, Phlebotomy Technician, EKG Technician, Restorative Care Technician, or Medical Billing & Coding specialist. We’re always expanding our curriculum, so be sure to call for an updated class offering! Take your practice exams online, right here! EKG Technician, Patient Care, Clinical Skills, Phlebotomy, Billing & Coding, and Medical Term practice tests are at your fingertips! These practice tests from the National Certification Career Association will help you understand and prepare for the kinds of questions you’ll see during an actual exam in one of our programs. With two New York campus locations in Newburgh and Peekskill, there’s a Hudson Valley Career Training classroom near you! Our day, evening, and weekend classes are designed to accommodate schedules of all individuals, especially those with full or part-time jobs who are seeking career advancement in medical professions. Start your career today by earning your certification for a medical career at Hudson Valley Career Training. 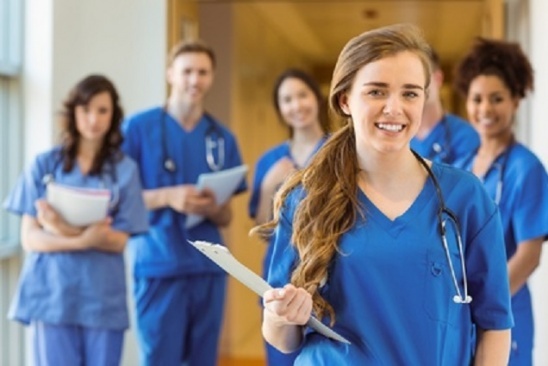 Become a certified nursing assistant, patient care technician, phlebotomy technician, EKG technician, restorative care technician, or medical billing & coding specialist. We’re always expanding our curriculum, so be sure to call for an updated class offering. Online classes are coming soon. Take your practice exams online EKG technician, patient care, clinical skills, phlebotomy, billing & coding, and medical terminology practice tests are at your fingertips. These practice tests from the National Certification Career Association will help you understand and prepare for the kinds of questions you’ll see during an actual exam in one of our programs. With two New York campus locations in Newburgh and Peekskill, there’s a Hudson Valley Career Training classroom near you. Our day, evening, and weekend classes are designed to accommodate schedules of all individuals, especially those with full or part-time jobs. Employment is no reason to delay this training for career advancement. Hudson Valley Career Training educates people for their future careers using a professional staff of instructors who have a wealth of experience in each particular field. As a state-licensed post-secondary vocational school, we offer more class time than the state’s requirements. For job assistance and referrals after graduation, we work with various medical organizations and employment agencies. Everyone wants to succeed at work, and at Hudson Valley Career Training, we give our students a competitive advantage. Not only will we help you find a job, but our rigorous training program will help you make a positive impression. Don’t hesitate any longer – apply for admissions today, and get started on your path to a new, exciting, and rewarding medical career. © 2019, Hudson Valley Career Training. All Rights Reserved.